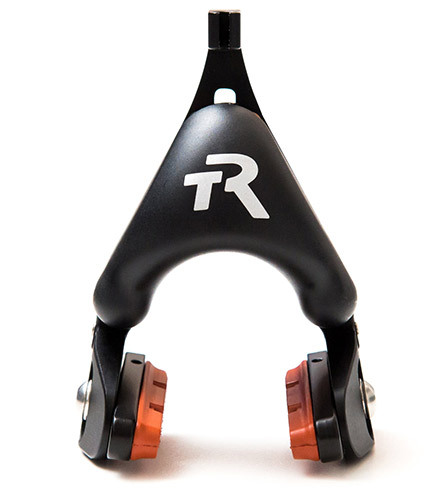 Two years ago we called TriRig’s Omega the “best mechanical rim brake on the market,” and we meant it. 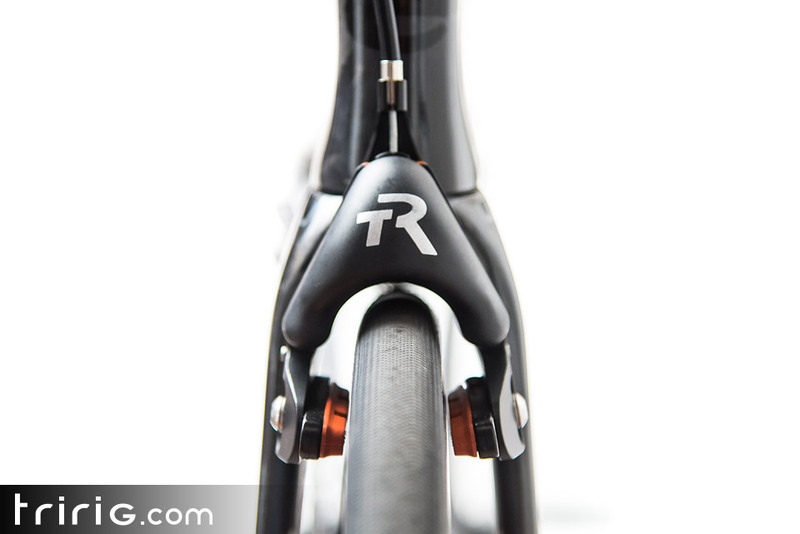 It was aerodynamically faired, easy to set for different wheels, stopped fantastically well and provided more feel in the lever than we had felt in a long time. Since then, we have had an Omega on one of our test bikes and never once uttered a complaint (except that we wished it was on both the front and rear wheels, instead of just the front). So when we received an invitation from TriRig for a new product launch, the last thing we expected was a new Omega. Simply put, the current one was fantastic. So what could they possibly do to top it? It turns out that the answer is “quite a bit.” Meet the new Omega X. And keep in mind that this isn’t simply an incremental upgrade. It’s a complete reworking of the Omega. The new Omega X takes everything we loved about the Omega and made it easier to work on, more compatible with more bikes, and gave it more power. The first thing you notice with the new Omega X is the lack of visible bolts on the front face. Instead, TriRig has equipped the Omega X with a magnetically attached front plate. The front plate covers the complete internals of the Omega X, and the neodymium rare earth magnets make quick adjustments a snap (literally). As we said, this is a complete reworking of the Omega, including the internals. 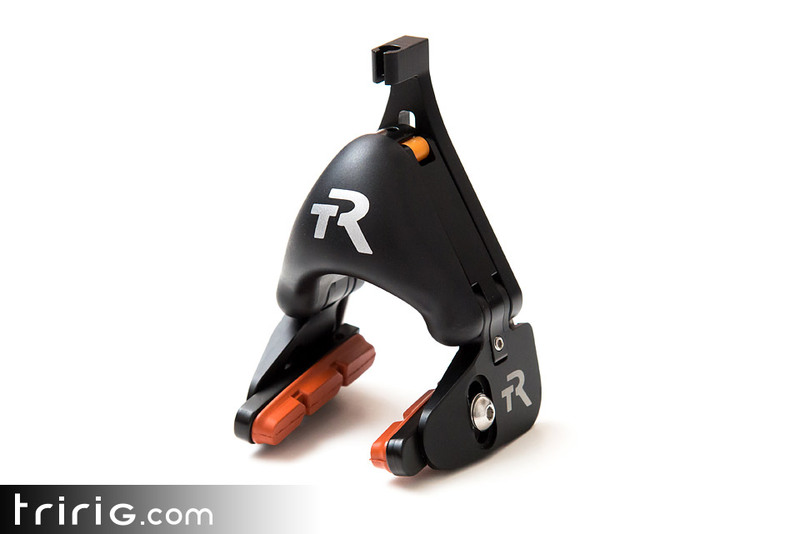 The updated wedge \ lever design returns the brake levers to center more easily, and a new “home” position on the wedge helps provide an increased initial “bite” when braking. The wedge also now has a small protrusion that fits into the back plate and should make centering it during installation a breeze. 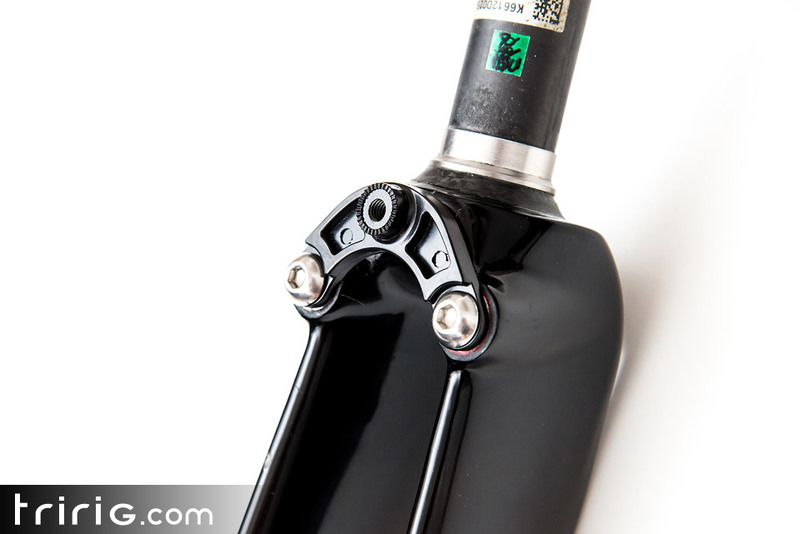 When the original Omega shipped, it fit standard single-bolt brake mounts. A short time later, the Omega SV was released to meet the two-post standard. However, with the introduction of the Shimano direct-mount standards, the original Omega had met its match. Fortunately, it would appear the Omega X is up for the challenge. 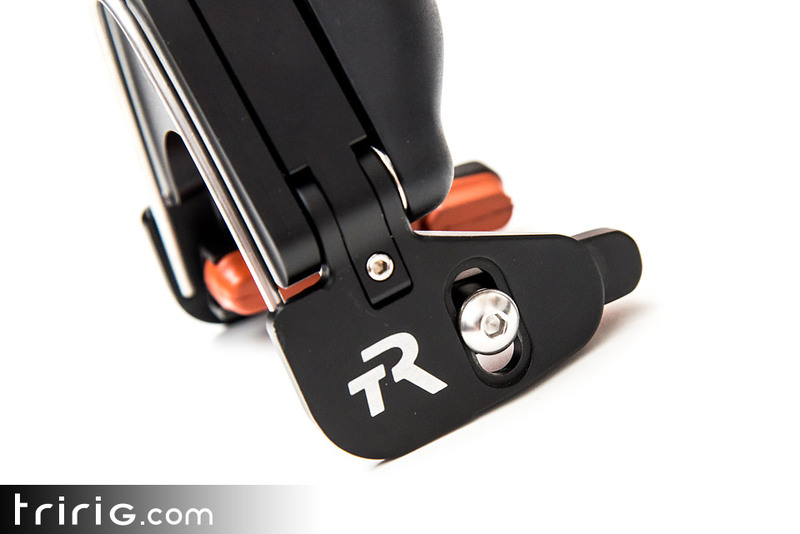 The Omega X is compatible with a traditional single-post mount, Shimano direct-mount, and TRP U-brake direct mount standards. Like the original Omega, the Omega X is designed to work with just about any wheel on the market. 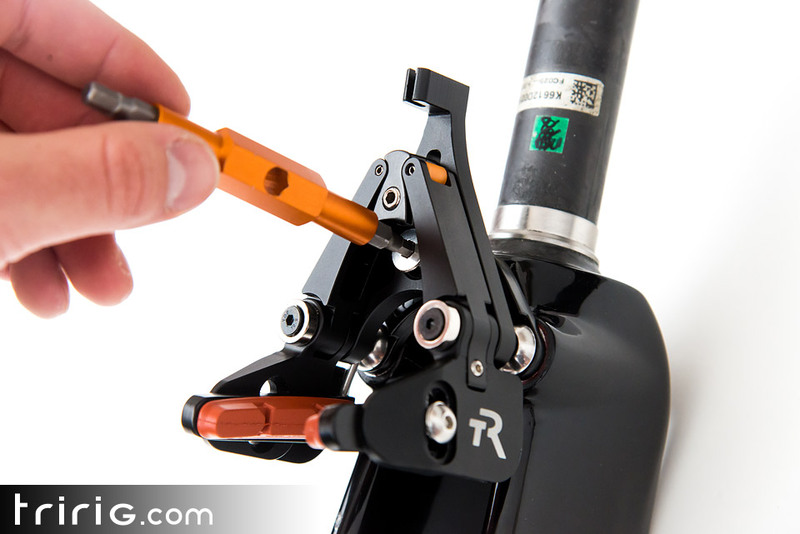 The X can open up to 32mm (even when using 6mm tall pads) at the top of the brake track, or skinny down to fit 19mm wheels. On each side of the brake is a set screw that sets how far the pad is from the brake track. So when switching to a wider rim, you just need to move the pads outward. We change wheels often, so this is a huge design feature that we really appreciated with the original. Finally, comes the last bit of news. While the words “new and improved” tend to cost more, the Omega X is coming in at $184.99 – just $5 more than the original. For those looking to order today, the Omega X is already available at http://tririg.com/store.php. 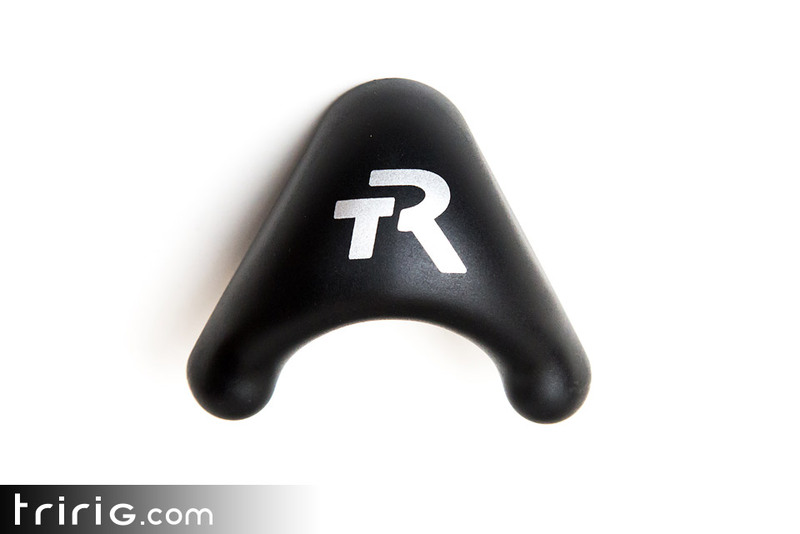 And as for us, we should be getting our test samples in the near future, so stay tuned for our in-depth review!